Padres righty Philip Humber has decided to retire after learning he wouldn’t make the club, A.J. Cassavell of MLB.com tweets. Now 33, Humber was once the third overall pick in the amateur draft, but never was able to consistently deliver results at the MLB level and will end his career with a 5.31 ERA in 371 innings. He last cracked the majors back in 2013 with the Astros. Of course, Humber also twirled an exceedingly rare perfect game for the White Sox in 2012, giving him quite a notable place in the history books. Shane Robinson has requested and been given his release by the Indians, Ryan Lewis of the Akron Beacon Journal reports on Twitter. Robinson had been on the fringes of the Cleveland outfield competition, but the club was set to go with other options and he exercised the opt-out clause that MLBTR recently reported. The 31-year-old is valued more for his glove than his bat; he owns a .237/.302/.313 batting line in 649 career plate appearances over parts of six seasons. As expected, Roberto Hernandez has officially exercised his opt-out clause and requested that he be released by the Blue Jays, Ben Nicholson-Smith of Sportsnet.ca tweets. The 35-year-old is hopeful of finding a major league opportunity elsewhere after Toronto decided not to add him to the active roster (and take on what would have been a $1.25MM salary). In 84 2/3 innings last year, Hernandez worked to a 4.36 ERA with 4.5 K/9 and 2.8 BB/9. Lefty Caleb Thielbar is headed to the indy league St. Paul Saints, Seth Stohs of TwinsDaily.com tweets. The former Twins southpaw, who’s just 29, played a bit role in Minnesota’s pen over 2013-14 but only got five innings in the majors last year. He had good run prevention numbers at Triple-A, but uninspiring peripherals may have tamped down interest from major league teams. The Rangers announced a pair of minor moves yesterday: the re-signing of outfielder James Jones to a minor league deal and the trade of left-hander Will Lamb to the White Sox in exchange for right-hander Myles Jaye. Texas somewhat surprisingly non-tendered Jones earlier this month not long after acquiring him as part of the Leonys Martin trade, but he’ll return to the Rangers, who freed up a 40-man roster spot with the sequence. Jones, a fleet-footed 27-year-old center fielder, saw quite a bit of action with the 2014 Mariners but just 31 plate appearances in 2015. He’s a career .238/.268/.296 hitter in 359 plate appearances, though he boasts an impressive 28 steals (in 30 tries) in that small sample of PAs. Jones is a .278/.358/.390 hitter in an even 500 Triple-A plate appearances. As for the trade, the Rangers pick up a soon-to-be 24-year-old in Jaye, who started 26 games for Chicago’s Double-A affiliate in 2015 and posted a 3.29 ERA with a 104-to-47 K/BB ratio in 147 2/3 innings. He rated as Chicago’s No. 23 prospect following the 2013 season, per Baseball America, but fell shy of their Top 30 last winter. In exchange, they’ll part with a 24-year-old lefty, Lamb, that pitched to a 4.42 ERA with 8.1 K/9 against 4.1 BB/9 in 57 innings of relief work between Double-A and Triple-A last season. Lamb held lefties to a .210/.319/.247 batting line in the minors last year. MLB.com’s Alden Gonzalez tweets that the Angels have inked outfielder Nick Buss to a minor league deal. The 28-year-old Buss batted .296/.352/.408 in 322 plate appearances with the D-backs’ Triple-A affiliate in 2015. Buss received a brief big league look with the A’s in 2013 but hasn’t returned to the Majors since. Baseball America’s Matt Eddy reported a slew of minor moves on Twitter yesterday, including the White Sox’ signings of left-hander/former top prospect Matt Purke and shortstop Andy Parrino; the Padres’ signings of veteran right-hander Phil Humber and lefty reliever Ryan Buchter; and the re-signings of Rosell Herrera and Frank Garces by the Rockies, and Padres, respectively. The White Sox announced that the Astros claimed right-hander Phil Humber off of waivers. Humber had been a non-tender candidate in Chicago. 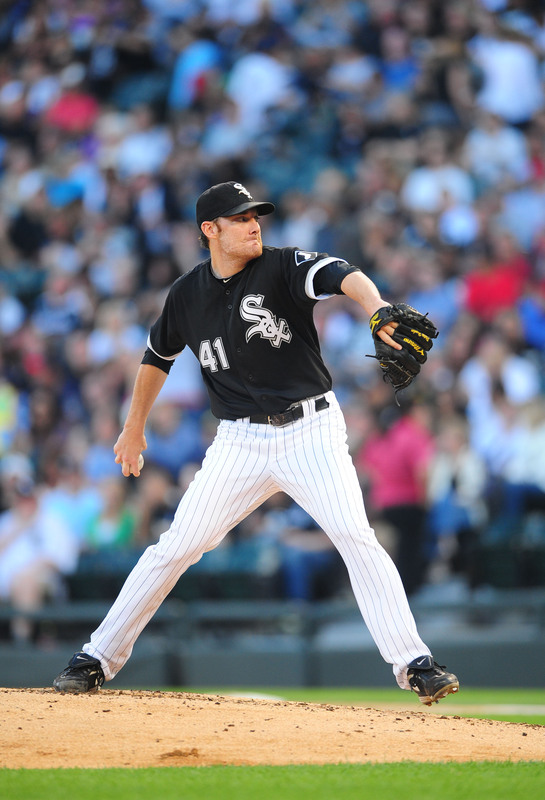 Humber pitched in 26 games for the White Sox this past season and threw a perfect game against the Mariners in April. However, he finished the season with a 6.44 ERA, 7.5 K/9 and 3.9 BB/9 in 102 innings. The 29-year-old had a projected salary of $1.1MM. Five months ago it appeared that Phil Humber could be on the cusp of a breakout season. He had just pitched a perfect game in Seattle, striking out nine Mariners on day that his fastball sat in the 90-95 mph range. Since then Humber has allowed 72 earned runs, including 23 home runs, in 87 2/3 innings. There’s no guarantee the White Sox will tender him a contract this offseason when he’s arbitration eligible for the first time. The White Sox selected Humber off waivers in January of 2011 and he responded with a solid season, pitching 163 innings with a 3.75 ERA and three times as many strikeouts as walks. The right-hander’s numbers have dropped off considerably in 2012. He has a 6.44 ERA with 7.5 K/9, 3.9 BB/9 and a 34.9% ground ball rate in 102 innings this year. Humber’s average fastball velocity is 90.5 mph and he has a swinging strike rate of 7.8%. He has been exceptionally homer-prone, allowing 23 home runs, or 2.0 per nine innings. Humber started the year in Chicago’s rotation, spent a month on the disabled list with a strained elbow midseason, and lost his rotation spot in early August. He has been pitching out of the bullpen since, but Robin Ventura has used Humber sparingly in September, another indication that the White Sox don’t count him among the organization’s most dependable arms. Humber, who turns 30 in December, could obtain a salary in the $2MM range if the White Sox tender him a contract this coming offseason. The perfect game wouldn't make a major difference in an arbitration hearing, but his 2011 season was a strong one, and he has more than 300 MLB innings. Perhaps last year’s success would be enough to create some trade interest in Humber, the third overall selection in 2004. Still, the White Sox don’t appear to view Humber as a $2MM player. If they considered him an essential part of their pitching staff, they’d have asked him to pitch more than twice this month. It means a season that began with a perfect game could end with a non-tender. Photo courtesy of US Presswire. Clayton Kershaw's salary jumped from $500K to $7.5MM this year, and it wasn't just because of his Cy Young performance. Kershaw qualified for arbitration for the first time in his career over the winter, so he obtained the right to establish his salary by comparing his production to that of his peers. Though $7MM raises are reserved for elite performers like Kershaw, many first-time eligible starting pitchers will see their salaries rise from $500K or so to $2-4.5MM this coming offseason. A player’s case depends in large part on his career numbers, but his most recent season, or platform year, matters a great deal. Advanced statistics like xFIP, wins above replacement and swinging strike rate don't generally figure in to arbitration cases. Instead, traditional stats such as innings, starts, wins and ERA determine players' salaries. Injuries have limited Jhoulys Chacin, Doug Fister, Marco Estrada, Chris Narveson and Neftali Feliz. All of these pitchers are on the disabled list, none of them are on pace to complete 150 innings, and three of them — Estrada, Fister and Chacin — remain winless. Phil Humber and Tommy Hunter have stayed healthy, but they’re off to disappointing starts that include losing records and ERAs above 5.50. The homer-prone Hunter is pitching at Triple-A, and could soon be recalled. The collective bargaining recognizes special accomplishments, and Humber's perfect game definitely qualifies, so his representatives at Moye Sports Associates could play it up should the sides go to a hearing. Yet there's no clear conversion rate in place to help value Humber's perfecto. Brian Matusz and Ross Detwiler both spent considerable time in the minor leagues last year, but they've responded with solid seasons to date. Both will head to arbitration with losing records, however, and Matusz's career ERA sits at 5.32. Bud Norris, Ian Kennedy, Tommy Hanson, Mat Latos and, to a lesser extent, Mike Leake all entered the season with the bulk innings totals that often lead to generous salaries in arbitration. All five pitchers continue piling up innings, though Leake, Latos and Norris have ERAs above 4.50. The pitchers in this group figure to be compared against one another over and over this coming winter. Former top prospects Jeff Samardzija and James McDonald (pictured) are enjoying breakout seasons. Both right-handers have career-best walk rates and are averaging one strikeout per inning. If they can keep this up — or at least come reasonably close to doing so — their paychecks will reflect the improvements in 2013 and beyond. Unfortunately for Samardzija, starters Rick Porcello and David Price didn't seem to be able to use their generous pre-arbitration salaries to boost their arbitration earnings this past offseason, so his current $2.64MM salary probably won't help much. It's early enough for the fortunes of these pitchers to change dramatically. Feliz could return to the bullpen, Fister could replicate last year's second half success, or Samardzija could regress. But, ten-plus starts into the season, these pitchers' platform seasons have started taking shape. Photo courtesy of US Presswire. Stats via Baseball-Reference.com. Note that Derek Holland and Jonathon Niese signed extensions covering what would have been their first arb years. Madison Bumgarner, Stephen Strasburg and Daniel Hudson are expected to fall just shy of super two eligibility, though that's not official. Dave Cameron of FanGraphs suggests the Royals resemble a .500 team much more than it seems at first glance. The Tigers announced that they have transferred right-hander Al Alburquerque to the 60-day DL. The move opens up a 40-man roster spot for Detroit. Tom Verducci of SI.com points out that Philip Humber, author of the 21st perfect game in MLB history, is in many ways every general manager's dream. The White Sox didn't have to pay for the right-hander's signing bonus or wait for him to recover from Tommy John surgery, but they’ve developed him into a valuable MLB starter. White Sox pitching coach Don Cooper told Verducci that he and Humber kept things relatively simple. "What we tried to do was tap into his best asset: his stuff," Cooper said. Cameron explained Humber’s evolution as a pitcher at FanGraphs yesterday. The 29-year-old has been using his slider effectively and his fastball velocity is up. It seems like MLB teams, even good ones, are always on the hunt for starting pitching. The Tigers, Indians, Red Sox, Cardinals and Diamondbacks acquired starting pitching at the trade deadline and other contenders inquired on starters before moving on to other targets. Alexi Ogando, Rangers - What a find for the Rangers. 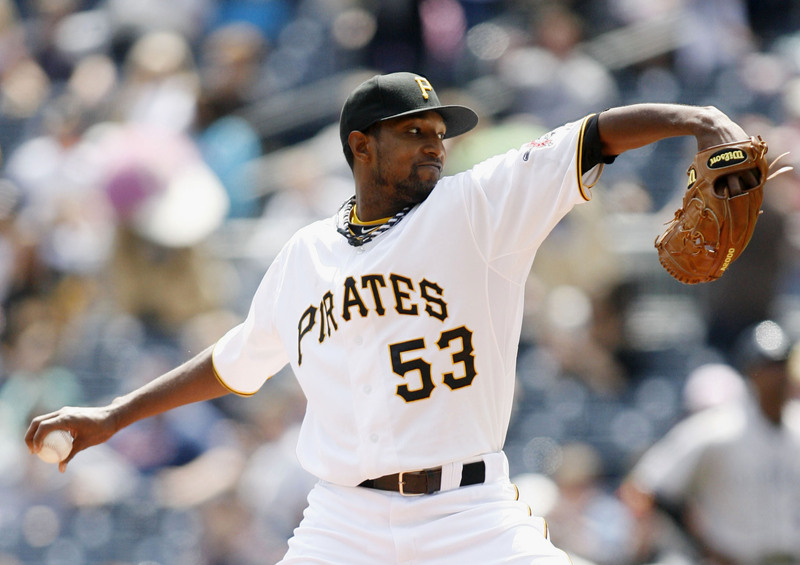 Ogando has a 2.88 ERA with 6.7 K/9 and 2.3 BB/9 in 125 innings as a starter. The converted outfielder has averaged 94.8 mph with his fastball, but it's hard not to wonder if he'll tire toward the end of the season. Ogando's previous professional high in innings is 70 2/3. Phil Coke, Tigers – Coke lost his rotation spot midway through the season after posting a 4.91 ERA with 4.3 K/9 and 3.5 BB/9 in 77 innings. The left-hander was solid in April and May, but put together a string of ugly outings in June and is now pitching out of the 'pen again. Kyle McClellan, Cardinals – McClellan, who replaced the injured Adam Wainwright, lost his rotation spot when St. Louis acquired Edwin Jackson. McClellan returns to the bullpen after posting a respectable 4.21 ERA in 104 2/3 innings from the rotation. Phil Humber, White Sox – The 28-year-old former third overall pick has a 3.44 ERA with 5.9 K/9 and 2.3 BB/9 in 117 2/3 innings. Though his last three starts haven't been pretty, Humber's emergence allowed the White Sox to part with Jackson last week. From the moment they're drafted to the day they retire, starting pitchers are generally more highly coveted than relievers. They're selected earlier on draft day, they earn more in arbitration and they sign more lucrative free agent contracts. There are exceptions of course: Drew Storen was a first rounder, Jonathan Papelbon earned nearly $30MM through arbitration and most starters would love to match Mariano Rivera's free agent earning power. But for the most part, teams invest more in starters. Alexi Ogando, Rangers – Ogando has been tremendous for the Rangers. The converted outfielder has a 2.86 ERA with 6.7 K/9 and 2.0 BB/9 in 97 2/3 innings. His ground ball rate has dropped to 36.3%, yet his average fastball velocity is impressively high at 94.7 mph. After successfully converting C.J. Wilson in 2010 and Ogando this year, will Texas move Neftali Feliz to the rotation in 2012? Phil Coke, Tigers – Coke lost his rotation spot last week after posting a 4.91 ERA with 4.3 K/9 and 3.5 BB/9 in 77 innings. The left-hander was solid in April and May, but put together a string of ugly outings in June. Kyle McClellan, Cardinals – McClellan, who is replacing the injured Adam Wainwright, has a 4.27 ERA with 4.7 K/9 and 2.9 BB/9 through 90 2/3 innings. McClellan's ERA has jumped two runs this year and he has already set a career-high in innings pitched. He has not surpassed 100 innings since he was a starter in the Midwest League seven years ago. Phil Humber, White Sox – It took a while, but Humber is finally putting it together in the Major Leagues. The former third overall pick has a 2.69 ERA with 5.5 K/9, 2.3 BB/9 and a 46.1% ground ball rate in 103 2/3 innings. Even if Humber's ERA rises – his peripheral stats suggest it will – the White Sox have found themselves a valuable arm. Phil Humber's improbable journey from being a third overall pick to injury-riddled obscurity to a star in the White Sox rotation is chronicled by ESPNChicago's Jon Greenberg. The Cubs have no plans to rush Brett Jackson to the Major Leagues, reports MLB.com's Carrie Muskat. Jackson just recently returned to action after a finger injury. Muskat's piece also contains updates on several other Cubs prospects. The Cardinals would be "crazy" to think about dealing Colby Rasmus, writes Bernie Miklasz of the St. Louis Post-Dispatch. The Tigers took position players with 10 of their first 11 draft picks, and 24 of their first 29 picks were college players. Baseball America's John Wagner looks at how both trends were a departure from Detroit's recent draft strategies. Bill Hall has cleared waivers and is now a free agent, tweets Steve Campbell of the Houston Chronicle. Hall was put on release waivers by the Astros on Monday. The Astros can also claim the first signing of the 2011 Amateur Draft, as 44th-round pick Blake Ford told Stephen Goff of the Houston Chronicle (Twitter link) that he will sign tonight. Ford, a right-hander from Lamar University, happened to have tickets to tonight's Astros-Cardinals game so he figured he would take care of his contract while at the ballpark. Also from Goff, the Astros have already signed two other draft picks. Phil Humber (White Sox, from Royals, via Athletics) – The 28-year-old former top draft pick has a 3.18 ERA with 5.2 K/9 and 2.2 BB/9 through 45 1/3 innings. Now a member of Chicago's six-man rotation, Humber is finally providing value in his sixth MLB season. Pat Neshek (Padres, from Twins) – Neshek is back on the Padres' active roster after a quick stint in the minors. He posted a 1.86 ERA with 10 strikeouts in 9 2/3 innings earlier this year. Padres reliever Samuel Deduno (from Rockies) gets an honorable mention, though he's not on San Diego’s active roster. Joe Mather (Braves, from Cardinals) – A longtime favorite of the Braves, Mather has a .747 OPS after 24 plate appearances and has appeared at three positions. With respect to Mather, his presence on this list shows how little other waiver claims have impacted MLB rosters so far in 2011.